Varicose veins and telangiectasia (spider veins), typically occur due to disease valves in the superficial veins. When the vein is diseased, the valves do not meet. This allows blood to flow backwards, and move in both directions. This is called venous insufficiency, or "reflux". Reflux can cause symptoms of aching, pain, heaviness, fatigue in the legs, swelling, restlessness, skin discolorations in the ankle areas, and in worst cases, venous ulcers. Venous insufficiency, or "reflux" is backward flow of blood in the superficial vein system called the "Greater Saphenous". This is the medical condition that is the cause of spider veins and varicose veins. The vein system runs the entire length of the leg from ankle to groin. 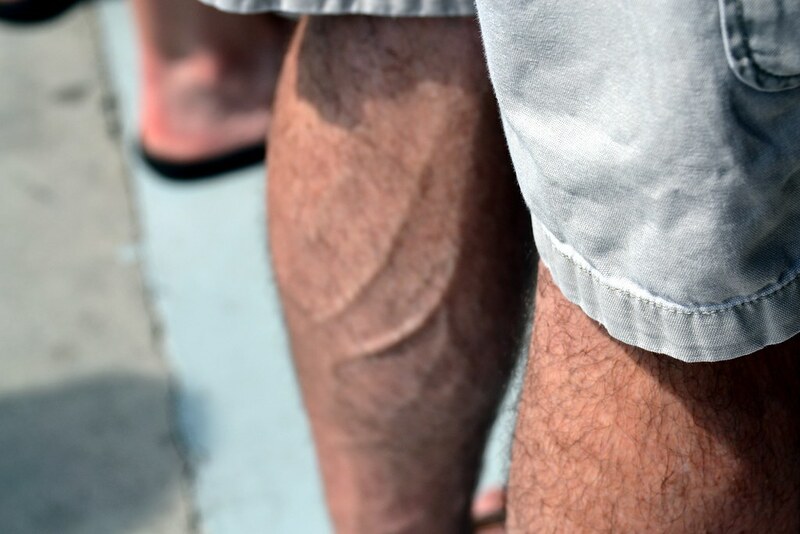 There is a branch off the back of the knee, called the "lesser saphenous", and there are connecting perforator veins that are more superficial. These are the areas that can have the backward flow. These veins are not visualized with the eye. We can only see these veins by use of ultrasound. What patients SEE, are usually END RESULTS of the backward flow. This photo may be disturbing to some, but this shows the progression of a disease that is TOTALLY TREATABLE! Patients may be experiencing spider veins, or varicose veins. Swelling usually becomes an issue, and progression to skin discoloration and/or venous ulcers is the final stage. Risk factors include age, profession (teacher, nurse, factor worker - those who stand or sit for long periods of time), pregnancy, and family history. A special ultrasound will examine the legs, the valves in the veins, and determine if you have this medical condition. If it is found that you have the backward flow, the first step in the treatment process is radiofrequency ablation, commercially known as Venefit. Under ultrasound guidance, a heated catheter is inserted into the vein to be treated. The catheter is brought to a controlled temperature, and is withdrawn in segments. As it is being withdrawn, the vein collapses and seals shuts, forcing blood into the healthy veins. This will improve circulation, reduce swelling, and stop the flow to the varicose veins and spider veins.